Pickernill, who has been helping Meghan adjust to royal life and has also helped her organize charity projects, is leaving on good terms with the duchess and is set to remain until after she has given birth to her and Harry's first child this spring. "Amy will be leaving but has agreed to stay on to help following the birth of the baby," a source told NBC News. "She and Meghan are very close and it's all very amicable. She has been with her since she moved from Canada and she will remain as a personal adviser to her in the long term." Kensington Palace has not commented on her upcoming departure. In December, the Sunday Times reported that Meghan and Harry's interim private secretary, Samantha "The Panther" Cohen, does not want to make her job permanent and "has let it be known that she intends to leave after Meghan's baby is born next spring." 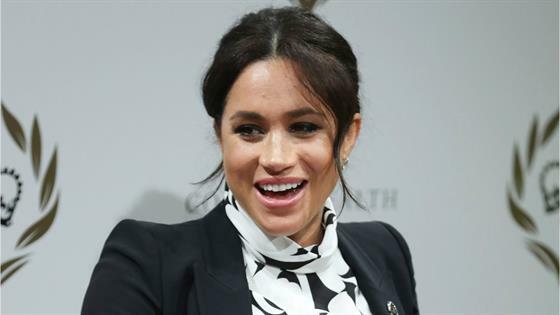 News of her departure came amid rumors that Meghan is supposedly a "difficult" boss, and alleged tensions between her and Harry's brother Prince William's wife Kate Middleton. Kensington Palace had no immediate comment on Cohen's exit news and does has in the past not commented on most of the negative reports about the duchess. Cohen's upcoming exit was also reported less than a month after it was revealed that Meghan's personal assistant, Melissa Touabti had quit after six months in her job. She and the duchess were reported to have had a difficult relationship, according to the Sunday Times. Kensington Palace announced in November that Harry and Meghan plan to move out of Nottingham Cottage in the palace complex, where his William and Kate have a massive apartment, and into Frogmore Cottage on Queen Elizabeth II's Windsor estate, not far from where they wed in May 2018. However, the Sunday Times reported that the Duke and Duchess of Sussex's new separate office is expected to remain at Kensington Palace.